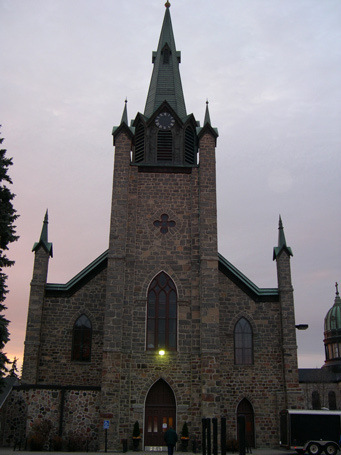 The Church of St. Joseph located in central MN contains one of the last remaining original four train M. Schwalbach tower clocks. This clock not only displays the time, it is also capable of striking the hour, quarter hour, and Angelus. 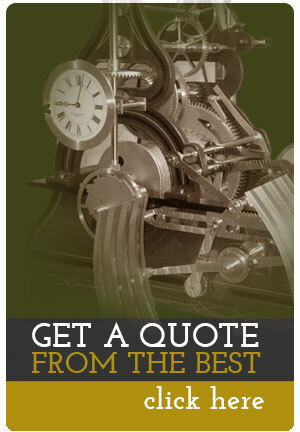 With over 100 years of service, the wear and tear on the clock had made its operation inconsistent. Mechanical Watch Supply removed the tower clock in 2007 for conservation of the original paint and refurbishing of mechanical surfaces. Great care was taken to preserve and retain the original paint and surfaces as this was an integral part of the clock’s history. Very few M. Schwalbach examples have survived with the original paint. Located in Milwaukee, WI, M. Schwalbach was one of the more unique American tower clock manufacturers. 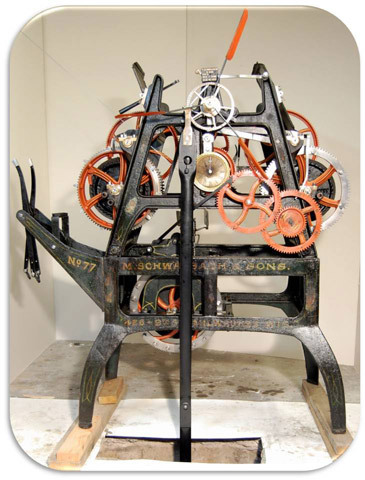 An interesting feature of Schwalbach’s clocks is that they incorporate a pinwheel spring remontoire escapement. This type of escapement allows for an unvarying force to impulse the pendulum, increasing its accuracy. Another interesting aspect of these tower clocks is that, once wound, they would only run for 30 hours before needing to be rewound. Subsequently, Schwalbach’s tower clocks required dedicated caretakers that would climb the tower and manually wind the clock trains on a daily basis. The Church of St. Joseph’s four train M. Schwalbach tower clock is unique in that it strikes the Angelus three times a day (6am, 12noon, and 6pm). 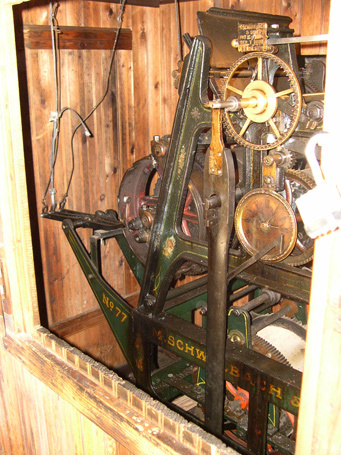 Still in its original tower, this clock is the last known example of an original functioning Schwalbach Angelus. 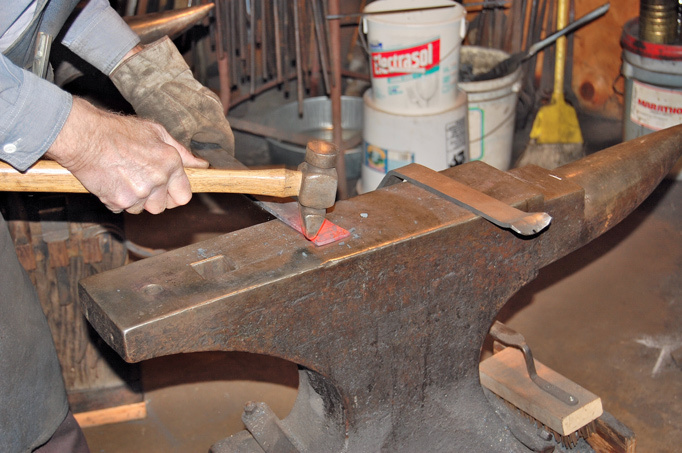 The typical Angelus sequence is 3-3-3-9 striker blows to the bell. The song was originally introduced in the 14th century. This tower clock, now conserved, refurbished, and back in its original tower, should run for another 100+ years with proper care and maintenance. The tower clock reflects Mechanical Watch Supply’s passion, skill, and technical ability to preserve tower clock history for future generations.